The Scrum system has been around for a number of years, and as many people would guess, is named after the scrummage in rugby during which players pack together and collectively work towards gaining possession of the ball. The theory in business is much the same – ideally minus the mud and fighting – where a team works together to complete a project promptly. 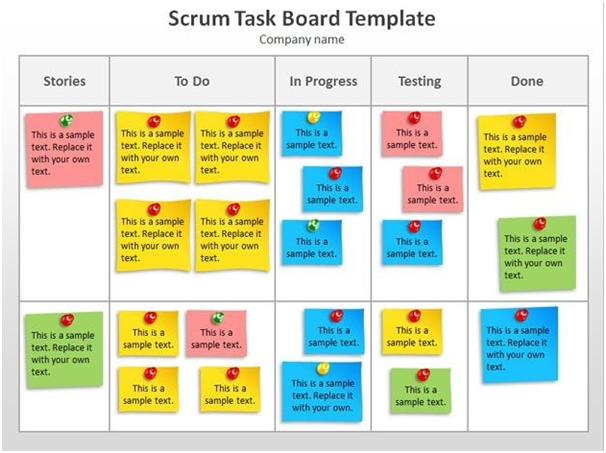 The term scrum was first used in the context of product development by authors Ikujiro Nonaka and Hirotaka Takeuchi in an article in the Harvard Business Review. Their idea has been tweaked and developed over the years, most notably by Ken Schwaber. In 2002 Schwaber founded the Scrum Alliance and set up the Scrum certification series. Communication and transparency are some of the most integral principles of Scrum. Scrum works best when all team members are aware of what everyone else is working on. That’s why visibility is so important and is where the Scrum board comes in. 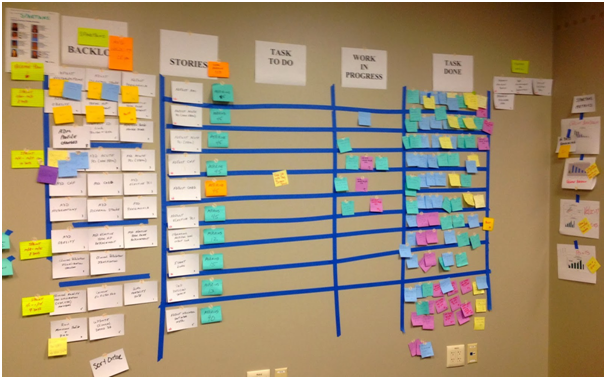 Scrum boards can be physical; a whiteboard covered in post-it notes works well for some teams. Many prefer the accessibility of online software. Trello and Jira are two of the best and most popular examples. There are three essential roles that are fundamental to the success of a Scrum project. These are the product owner, the Scrum master and the Scrum team. Product owners differ slightly to the traditional project manager in that they focus on ensuring the team delivers the most value to the business. They are often an individual most familiar with the system or product in question. The Scrum master is the facilitator for the entire team. They help to resolve any disputes or issues that could hinder the team and streamline the development and keep the scope air tight. The Scrum master does need to be certified, although there are countless certification courses available now. A quick search for scrum master training in Dublin, Manchester or Birmingham will identify your local centre with ease, for example https://www.althris.com/courses/scrum-master/. These are the people working together to drive each sprint (each iteration of the project) and ensure that every sprint is completed successfully by taking advantage of each others’ skill sets and helping one another to deliver on time.